Transitions ScreenSaver shows endless transitions between random colorings of your screen. 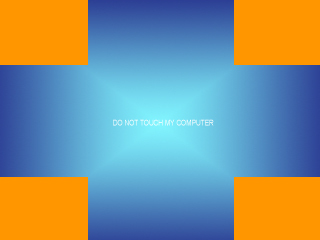 Occasionally, it displays messages (that are chosen at random from the following: Do not touch my computer, I am not here, I will be back soon, Someone Else owns this computer. Leave alone, etc). Background sound supported. You can create/edit your music playlist or disable the sound. Dual monitor supported, too. ...... Dual monitor supported, too. D. Password protection on resume supported. Qweas is providing links to Transitions ScreenSaver 3.1.0 as a courtesy, and makes no representations regarding Transitions ScreenSaver or any other applications or any information related thereto. Any questions, complaints or claims regarding this application Transitions ScreenSaver 3.1.0 must be directed to the appropriate software vendor. You may click the publisher link of Transitions ScreenSaver on the top of this page to get more details about the vendor.